My wife and son were with me in the car and I was somewhat distraught, to say the least. We were on our way home from visiting my dad in a Johnstown hospital and the outlook for him was not good. I pulled into a local Sheetz store on Route 56 in the East Hills section of the city to purchase some gas and waited patiently in line, but I allowed enough room for the driver of the car in front of me to maneuver and pull out when he was finished pumping. I was facing him, but I needed to use that left lane in which he was parked because of the location of my car’s gas cap. 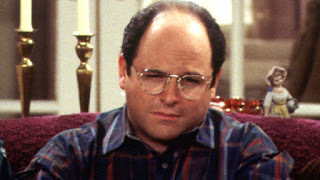 Just as that customer pulled out, a short, dumpy, middle-aged man, with his wife in the passenger seat, pulled into my preferred slot – the slot I was waiting to open up, well before the George Costanza look-alike made his Mario Andretti move. I might add that the driver wore thick eye glasses just like George Costanza and did not look anything like the threatening type. At the same time, another vehicle pulled into the right lane beside us, just as the left lane for which I’d been waiting was taken by Costanza. As the driver in the right lane exited his car, my wife and son noticed him immediately. But they had no idea that Constanza was the one to whom I was about to blast verbally. I blew up! With my window down, I screamed at the culprit, calling him every name I could think of. Not only was I in a horrid mood, I felt safe because, even with my recent back-to-back, open-heart surgeries; I thought I could take this chump down. He must not have heard me well the first time, so he put his driver’s side window down, and I let him have it again. This time there were some four-letter words associated with my tirade. I showed him, big time! As I was blasting Costanza with more bad language than I care to admit, my wife and son took more careful notice of the man who had gotten out of the car in that right lane. He was a huge man, dressed in Army fatigues, combat boots, and wearing a beret. 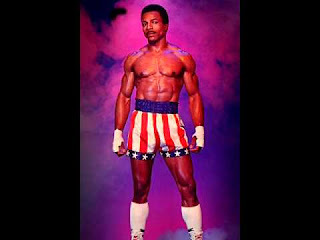 Built like a taller version of Carl Weathers from the Rocky and Predator movies, he no doubt was a member of some kind of special armed forces unit. The camo attire did nothing to hide his muscular build. He was cut like a “V”, with a physique like few others. So, back in our car, my wife and son sat speechless, wondering if I’d completely lost my senses as I continued to hurl insults out my window. 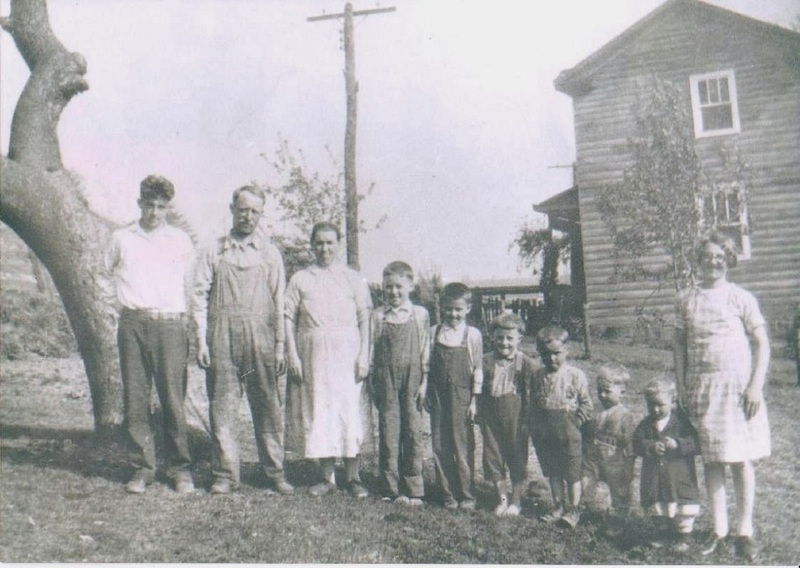 My son, in his mid-twenties at the time, later told me he thought he would have to get out of the car and take a punch for his old man. They both believed I was hurling those insults toward the Carl Weathers (Apollo Creed) look-alike. I exited the car to go in and prepay for the gas, all the while still jawing aloud at Constanza, who continued to sit in his car, staring straight ahead. To say he was shook up would be a very mild way to describe the look on his face. I just so happened to accompany Carl, the military man, who was also heading in to prepay for his gas, as we both walked toward the doors of the Sheetz store-front. He had apparently witnessed my frustration with the driver who’d taken my spot in line, and turned to me and made a comment like, “Doesn’t that tick you off when people pull into your slot like that?” I agreed, and told him I appreciated his concern. I also happened to notice that Constanza waited till I reached the store doors before he got out of his car and started pumping his gas. Luckily for him, he must have had a credit card and wasn’t required to pay first inside. My son agreed. He could not understand why I was still arguing with this man wearing the beret. The special forces guy could have easily squeezed my head like a pimple or knocked me out with one punch just like Apollo Creed did in the movies. Both my wife and son were oblivious to Costanza, who was now nervously pumping his gas into his car. Eventually, my left lane opened and I was able to maneuver our car close to my desired gas pump so I could commence pumping gas. Costanza pulled out without incident. And it was then, finally, that my two passengers realized who I had been blasting with my offensive language. They got a kick out of the fact that it was Constanza, and not Carl or Creed, the military man. At about the same time, they both realized too, where the gas cap was located on our car. Never mind that they both had driven the same car numerous times before and had purchased gasoline many times, too. Instead, their worries had centered on me trying to pick a fight with Carl Weathers, and the potential conclusion of having to make funeral arrangements for me. Today, I still appreciate the re-runs of Seinfeld and enjoy watching Rocky and Predator over and over again. I’m forever grateful too, that I didn’t have to take on Apollo Creed that day because it would have been a miss-match to say the least. Costanza? That might have been a different story.